Today we added 10 more to the list and we are working hard to hit 200 by the end of Week 1 in the NW. Thanks to all of you submitting your info. There are so many deserving kids and now that we have added Idaho we will be expanding the list to 250 athletes. Not to worry. So many of you guys are improving and even more of you are about to get your first meaningful reps at Varsity that we expect this list to change to to grow. As the season gets going we break into positional lists of the best athletes and many of you not on the Top 200 will be on those Top recruiting lists. This is a HUGE REGION and we have a big job. Understand we are doing our best. Our lists rely on film and personal viewing of the athletes – All State and All League lists are considered but you should all know these lists leave out kids on teams that do not go deep into the playoffs often times. College coaches do not recruit All State players – they recruit Top Athletes. Period. Here are 10 more guys we have added to the list and their film is included. If you have an offer and you are on the list please let us know- it is important. NOTICE- Athletes at the Top of This list have offers- there is no specific order to anyone else and the order changes as we make changes to the list. Everett’s Aki Howell blew up the Camp scene and his film was enough to get him on this list! Raemo Trevino of Ballard HS in Washington is big, powerful, and hard to defend up front. A top guy int eh D – Trenches! Princeton Lollar Jr. is one big Powerhouse back and LB and we think he is a Top 200 no Doubt! Only going into his Junior Year Marlon Tuipolutu has 5 Pas 12 Offers- his film is linked on our list and he is a killer! 6’2.5″ and 280 and FAST! 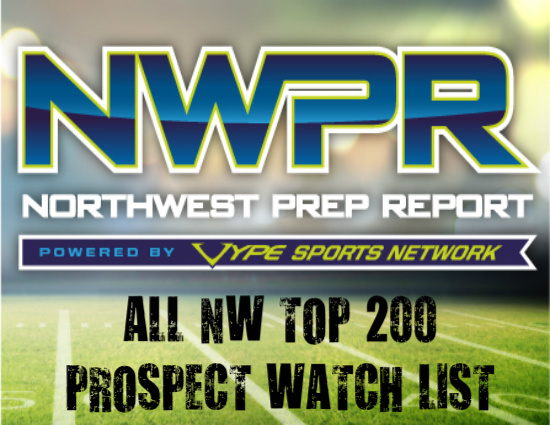 A Top 10 NW kid for 2017! The Name “Moos” means Football in Eastern Washington! Ben Moos of Pullman is born to play the game! Bothell now has the services of 6’4″- 190 lb Trevon Shelton and this kid can PLAY!!! Bellevue (HS) is where Jessie Behringer calls home and man can this kid play- solid both sides of the ball. Sedro- Wooley Linemen Erick Lukner has improved perhaps more then any other big linemen in the Region and this guy will move on to College.